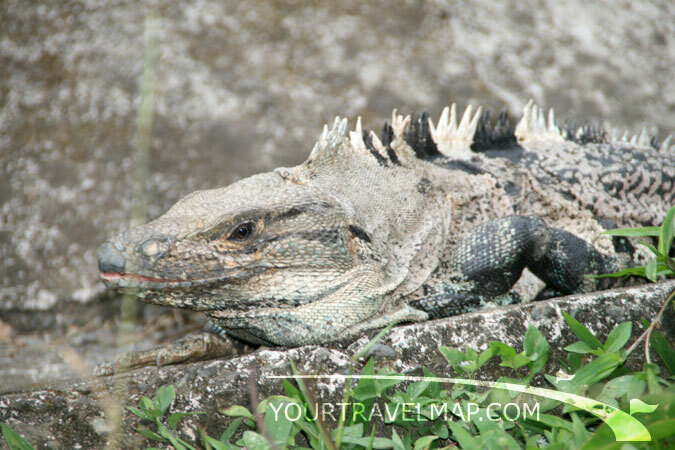 Iguanas are a common sight close to the beach. Driving east from Carrillo Beach one reaches Punta Islita after 16.6 kilometers. This is a magical bay that sits hidden between hills where the sand beach is only one kilometer long. This is the perfect location for a romantic getaway or honeymoon, but not for people that are looking for an active nightlife. The bay is ideal for swimming and snorkeling but there are no waves for surfers. Isolated Playa Camaronal is close by offers good surfing conditions. There is no shade at Playa Camaronal and it is very likely that you will be the only one in the break. This is an excellent surf break, but one should watch out for strong currents. The waves can get pretty big so this is absolutely no spot for beginners. 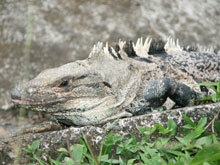 Punta Islita is located in the province of Guanacaste. Distance from San Jose to Punta Islita: 260.1 kilometers respectively 161.7 miles. Travel time from San Jose to Punta Islita: 5.32 hours. Distance from Liberia to Punta Islita: 133.4 kilometers respectively 82.9 miles. Travel time from Liberia to Punta Islita: 3.06 hours. The roads that lead to beautiful Punta Islita are not paved. Travelers with a tight schedule can take a domestic flight to save some time. The planes used by the local airlines in Costa Rica are small aircraft that can take off and land on short runways. The common models used in Costa Rica are: Cessna Grand Caravans, Beechcraft King Air E 90s, Executive King Airs, De-Haviland Dash 6 Twin Otters and Twin Otter Vistaliners. Seeing Costa Rica from a birds eye view opens a whole new perspective.